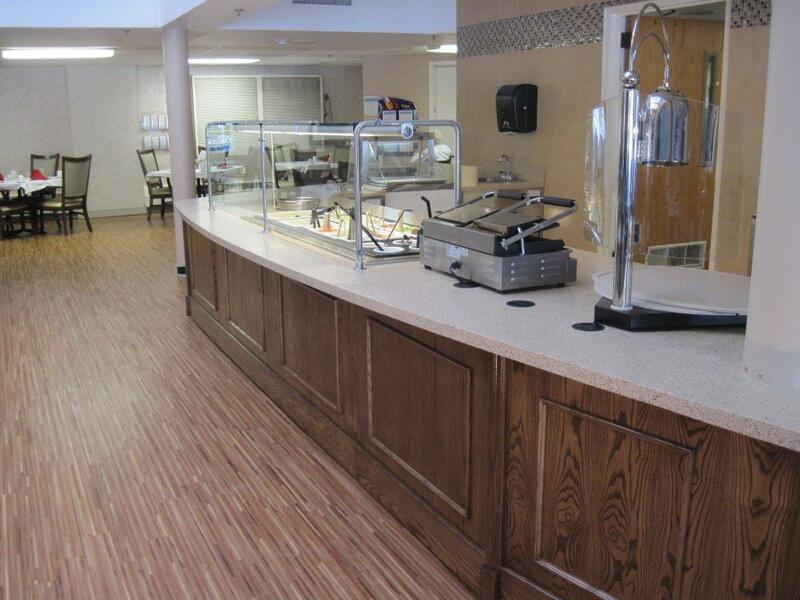 Multiteria was called in to work with Direct Supply and Saratoga Grove Retirement Community in Downers Grove, IL to create and furnish a new serving line for their residents. 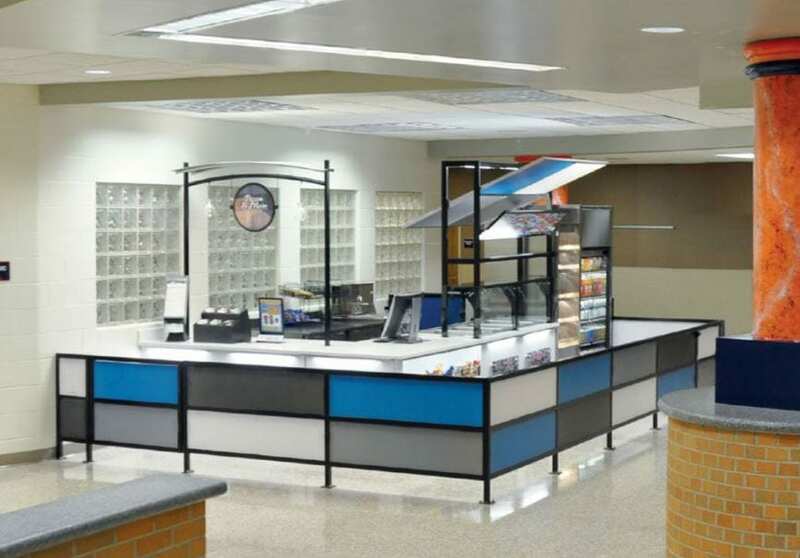 Saratoga wanted to replace a 40 year old serving line that had drop-ins that were not functioning and a counter that looked tired and outdated. During the initial meeting with Direct Supply, Multiteria, Saratoga staff, the interior designer and Saratoga management identified several operational and traffic design challenges. In addition to the overall objective of creating a new contemporary serving line, the resident traffic patterns needed improving. 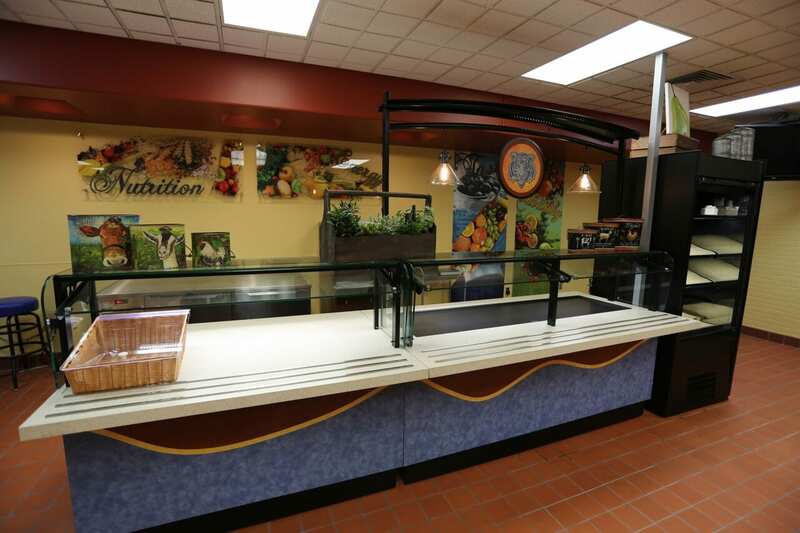 There was also a need to provide additional capacity at both the hot and cold stations as well as adding plate storage under the countertop instead of on top of the counter. They needed to eliminate the need for servers to have to cross resident waiting lines to get to the kitchen, and to relocate the beverages away from the serving counter area to improve the traffic pattern. An additional objective was to have both a carving station and a induction cooking station incorporated into the new counter. 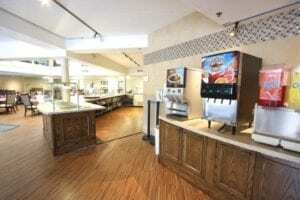 Most important to the residents was adding ice cream service at the serving counter. 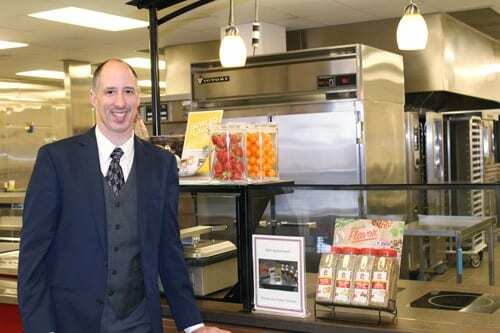 After preparing initial area and traffic plan drawings, Saratoga Grove made the decision to relocate the new counter adjacent to the kitchen. 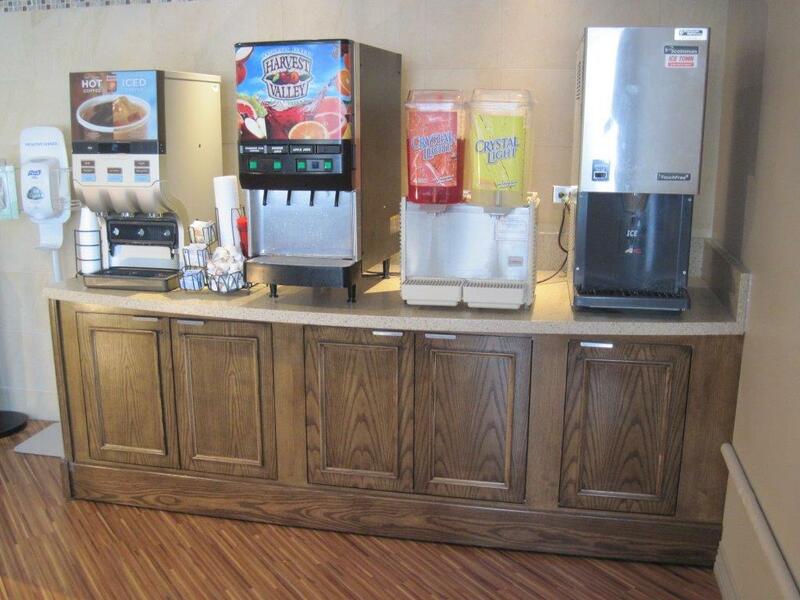 The new beverage counter was to be moved to the dining room, adjacent to the kitchen, but away from the resident serving area. These decisions came with a price as they could not use the existing mechanicals in the floor and new mechanicals would be required. After finalizing the preliminary plan design, a meeting was scheduled with Direct Supply, Multiteria and Saratoga staff to review, answer any questions, incorporate any needed changes and move to final plan and elevation drawings. The final drawings would show in detail what the new counter would accommodate and what it would look like. At this time material selections were made. 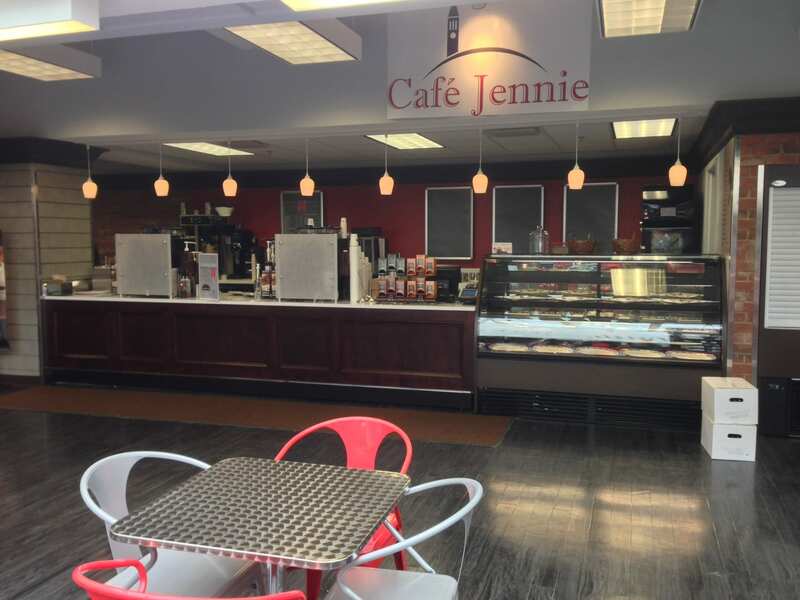 The designer chose to go with wood décor panels and solid surface top materials to give the counter a softer, warmer feel than what they had in the past. We were requested to stain the wood décor panels to match the chairs in the dining room. Once a final layout was approved, Multiteria prepared drawings showing the new electrical and plumbing requirements. Multiteria reviewed these drawings with their plumber and electrician during a site meeting. The complete set of Multiteria drawings were sent to their architect to incorporate into the architectural drawings to send to the building department and health department to apply for building permits. Both the customer and architect were beyond pleased with the end result. New plumbing and electrical stub ups were part of the scope of this project. DS requested that Multiteria contract a local installation company to deliver, unload, set in place and assemble the counters onsite. This also required a solid surface contractor to cut the top to fit around a column and seam the individual tops together on site to provide a continuous one piece top with no seams. After the counters were assembled and set in place, the electrician and plumber and flooring contractor completed the final mechanical connections and floor finishes. The project was complete and the resident dining hall is now a high functional and aesthetically appealing dining room.